Like a filmic short story, in a tight seven minutes the whole tale is told here. Andy (Martin Freeman) and Kay (Susie Porter) are a couple navigating a zombie outbreak in the Australian Outback. They debate in which direction they should travel but then a series of incidents leaves Andy traveling alone overland with their child strapped to his back, trying to dodge infected attackers and find a safe haven in spite of a ticking clock. Like Cormac McCarthy's The Road, this is mostly about the responsibility spouses owe to each other, or that children and parents owe to each other. 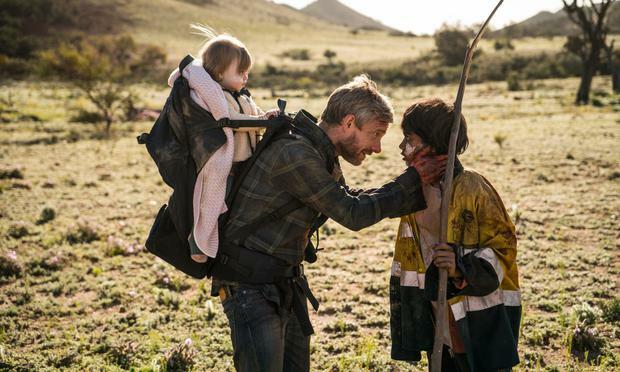 But somewhat inevitably for a zombie story, Cargo becomes a movie about found family, and how it can be harmful or crucial, depending on the people involved and their willingness to help each other. There's also a 105-minute feature version if this whetted your appetite. At a time when Facebook's role in the world is more hotly debated than ever, it feels like an apt moment for this film to pop up on Netflix. Screenwriter Aaron Sorkin turns the site's formative years into a morality tale for our times. Computer-science student Mark Zuckerberg (Jesse Eisenberg, giving a career-defining performance) is an unloved outsider at Harvard in 2003, but finds a way of circumventing the university's traditional elite by creating the networking technology that eventually makes him one of the world's youngest billionaires. Along the way, there's camaraderie, betrayal, class tension and much litigation: both his one-time best pal Eduardo Saverin (Andrew Garfield, providing the conscience of the piece) and super-snooty rivals the Winklevoss twins (Armie Hammer, in a dual role) sue for their slice of an increasingly large pie. It's probably Sorkin's finest work since The West Wing and also a coup for director David Fincher. Robert De Niro is a senior citizen on work experience in a twinkly if rather unlikely comedy from writer/director Nancy Meyers. Meyers specialises in feel-good comedies for the over 50s (Something's Gotta Give, It's Complicated), except that here, Anne Hathaway's young high-flyer is aiming to close the gap between generations. She takes the old guy under her wing at the shopping website she started up, before inevitably finding that she's the one who's on a learning curve. In a plot littered with dramatic shortcuts, there are mildly amusing, well-observed moments like De Niro turning up at the office in a suit, with a calculator and addressing himself, in a business-like way, in the mirror - homage to that famous scene from Taxi Driver. It's a pity that Meyers lets Hathaway's personal troubles overtake his story (her family life suffering as the site becomes more successful), but the most important connection - between the two leads - works surprisingly well, which helps paper over the cracks. Drag is now mainstream and RuPaul, who became the world's biggest drag star in the 1990s with the release of his single, Supermodel (You Better Work), had been away from the limelight for about a decade when this show launched. It turned out to be the biggest moment of his career. Since Drag Race premiered in 2009, 11 seasons have aired, including two All-Star editions (a third was just picked up). The competition show with a car-race motif spawned three spinoffs, RuPaul UnTucked, RuPaul's Drag U and RuPaul's Drag Race: Ruvealed, and led to the creation of RuPaul's DragCon, which has catapulted many of the show's 113 contestants to international stardom. There's relentless positivity, creative bitching, fabulous outfits and more witty rejoinders than you can shake a feather boa at.